Update: from the information below, I recently added the "recovery" partition, so it shifts partition numbers. Testing new firmwares could be a pain since everything is wiped out at each update. My idea (an I see some people had the same idea before) is to write the Android partitions on sdcard and boot from it. I have taken this Linux distribution as the base system. The principle is quite easy: take a SDCard u-boot, give it the Android kernel, create the Android partitions on SDCard, fill them to make Android happy, change all "nandx" references by "mmcblk0px" in init scripts. The Android system boots and does not need any access to NAND, a good point since I can test firmwares without affecting my flashed one. 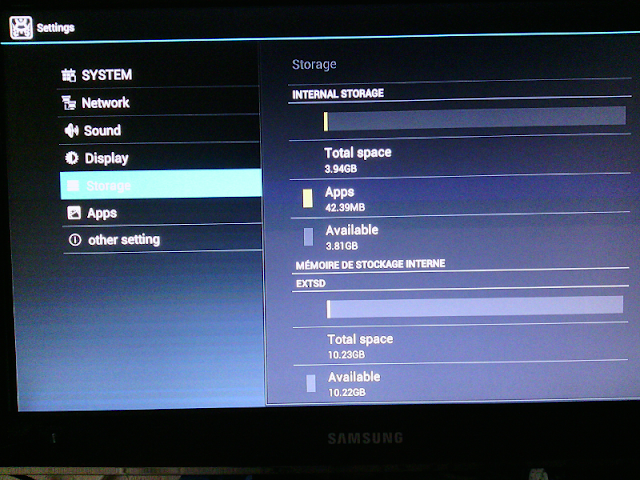 Under linux, I have partitioned the SDCard (SDHC class 10, for boot speed) with fdisk. I put 4GB for "data" and 10GB for /sdcard (16GB SDCard gives lot of space). Exact size doesn't matter; if you set to 15,95MB one partition, that's not a big issue. The important thing is the number of partitions, see below. Then I formatted partitions using mkfs.vfat for FAT partitions, and mkfs.ext4 for ext4 partitions that need to be formatted (look at the above table for the ones that need to be formatted, the others will be formatted by Android). 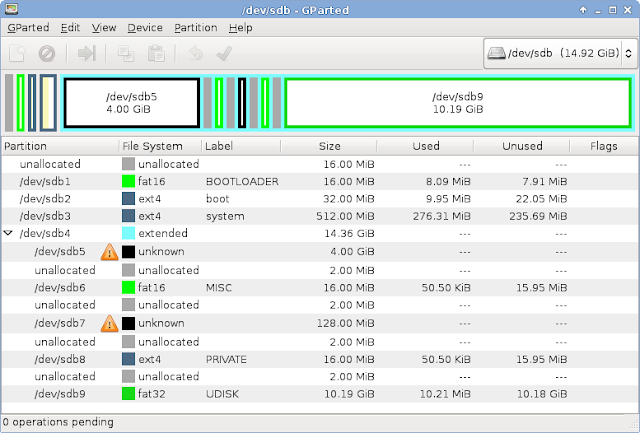 where DRIVE is /dev/sdb is sdcard is on sdb. In "boot" partition, you need to edit init.sun4i.rc and uevent.sun4i.rc, to change all "nandX" references into "mmcblk0pN" references conforming to the above table. grep -r nand * shows you all the files that need to be modified. However I am unable to get the sound to work and video playback also does not work. Sometimes I get a message there is no external SD card. Does this happen with you? Would like to see if we can do something further on this. I could not get your mail id; can you plz mail me nanditamanohar at gmail com . But there may be a way to improve A/V sync by patching the kernel. The thread is originally a patch for the Allwinner A10 Gingerbread firmware. But this post is a firmware containing ICS version. Downloading, to see what kernel is included. This update worked for me. Thanks Thierry. Defo a keeper. I installed it on a a3600. Tested videos all working specially on stock video player TvdVideo. Bit faster/snappier. All sounds perfect..louder than previous versions. Only complain from the kids is Bad Piggies not working :D.
Thanks again and excellent work. Now, i ask to you, how i can use this patch? I have to flash from ClockWorkMOD? Thanks for the help, Gabriele. Hmm.. no, the answer is not related to my suggestion. I suggested a firmware for another device, but did not find time to analyse it. Daniel was commenting the v4 firmware, but not this fix. should i extract the img file and put in sdcard or should copy the img file directly...? Well, you can simply perform a make build_sdcard after having renamed the .img file as original.img, at the mele flash kitchen root. In the sdcard/tmp/boot subdirectory, you must put the extracted rootfs.fex (use abootimg -x to extract rootfs.fex). The sdcard/tmp/system subdirectory must contain the system.fex directory. But if you read the Makefile, you will see all the commands to do in sequence. It worked thank you...Now if i want to change the sdcard(UDISK) size in the nand itself what should i do?which file i should edit before giving the "pack" command? Yes..I have 2GB space for nandk in my device but i want to split it into two 1 GB ie: nandk-1GB and nandl-1GB. So that i can have two SDcard. Is it possible having a nandl partition? or the partition count matters in android as you said above. IMHO it should be possible. The strong requirement is sufficient partitions. If there are more, it should not harm. Can this be achieved by your instructions?